Thank you so much to all of you who’ve reached out to let me know that my daily posts have been missed – I love hearing from you amidst all the craziness of work, it really brightens my day. 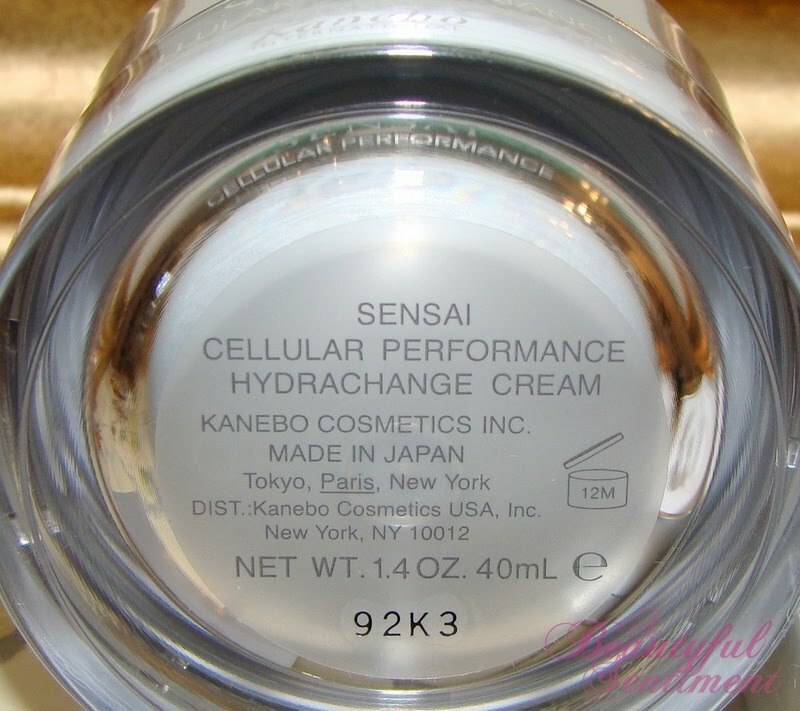 So given all the stress I’ve been under (and the massive sleep-deprivation I’ve been experiencing) you’d think that my skin would be going haywire, but thanks to the soothing, hydrating gentleness that is Sensai’s new Hydrachange Cream, my skin hasn’t been betraying the chaos that happens to be my life. Check out the full review after the jump! 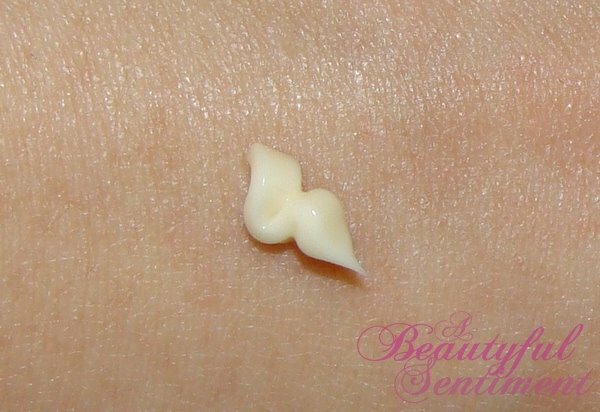 The Science: Hydrachange Cream is an uber-gentle gel cream that imparts a refreshing moist sensation upon application. 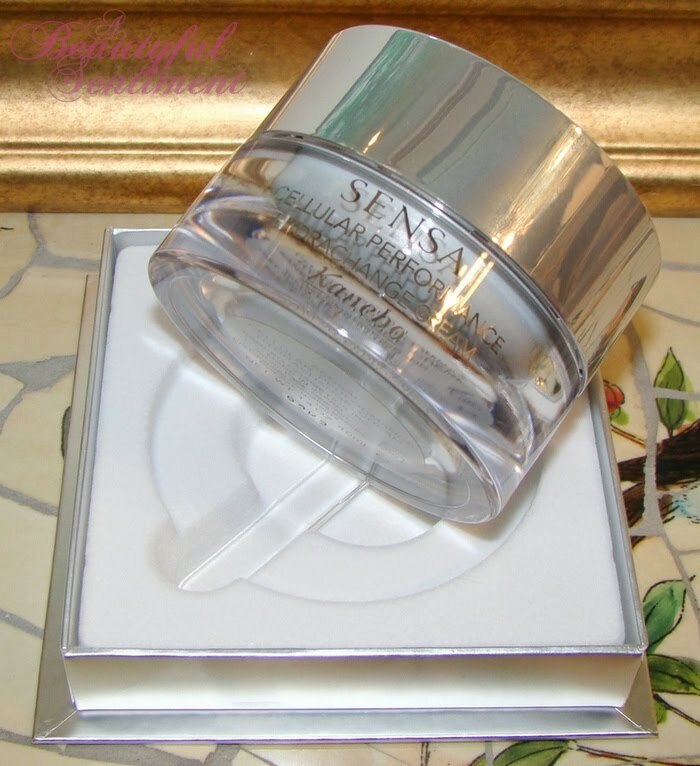 Sensai’s unique Hyaluronic Acid Supporting Network evenly distributes Hydrachange Complex, (made up of a marine monosaccharide to improve firmness and smoothness, beta-carotene to promote hyaluronic acid synthesis and a hyaluronate to boost collagen) with water and emollient oils to clam the skin while sealing in moisture for constant hydration. The Good: My simultaneously super oily and super dry (and always super-irritated) skin loves loves LOVES Hydrachange Cream. Over the nearly three months that I’ve been using this cream (never have I stuck with a single moisturizer this long) my pores have noticeably decreased in sizes, my skin is balanced and happy, and I’ve experienced nary a dry flake during the cold winter months. 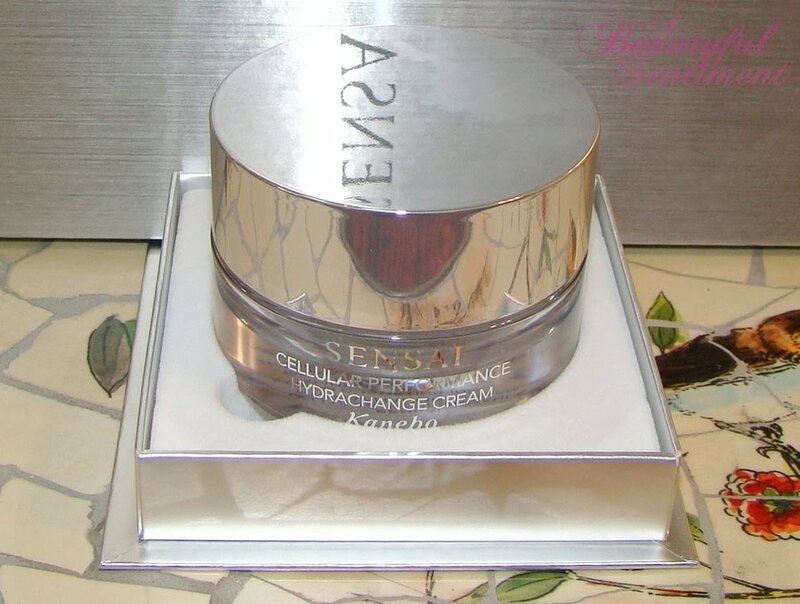 This gel cream has a wonderfully light, almost watery texture that makes moisturizing such a pleasure in the morning (I hate struggling with a super thick cream) and is infused with the fresh, feminine, comforting fragrance of plum blossoms blended with notes of sandalwood, rose and jasmine (which are also supposed to boost hyaluronic acid synthesis in the dermis). Have I also mentioned that I haven’t experienced a single major breakout since I started using this cream? It’s heaven I tell you, pure heaven! The Bad: I do have to say that there was one small hitch in the ABS/Hydrachange Cream love story – stickiness. If there’s one thing I hate, it’s a sticky skincare product, and Hydrachange doesn’t dry to a completely matte finish, but rather remains slightly sticky to the touch throughout the day. I do, however, think that this is why this particular product moisturizes so well and is so incredibly hydrating, so I really shouldn’t complain. PLUS happily I’ve found that perfect skincare combination that makes for happy skin and a nice, smooth feel – I layer Hydrachange over my ever-trusty Estee Lauder Idealist (I’ve been using this stuff for years) and it settles into a nice and smooth, non-tacky finish that foundation just glides right over. As promised, here are the ingredients! The Verdict: While my wallet cringes (just a little) at the $160 for 1.4 oz. 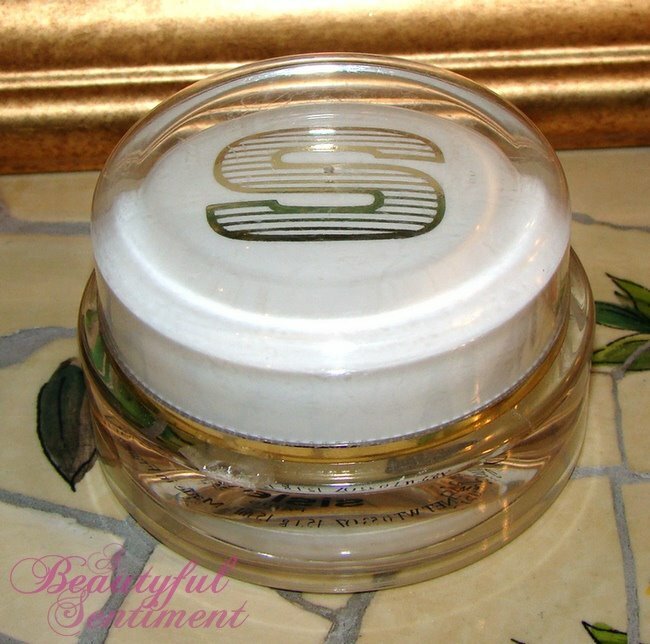 price, to be honest I’d pay pretty much any price for beautiful, happy skin, and so when sample jar (generously provided to me by the wonderful Sensai PR people) goes empty, I’ll be dragging myself over to the Kanebo counter at Bergdorf to restock. Availability: Sensai’s Hydrachange Series is available at Bergdorf Goodman, BergdorfGoodman.com and NeimanMarcus.com (online only). Do check out the line, it’s one of my favorite brands ever! From the Label: Inspired by old-world Russian herbal remedies, this supremely rich body balm renews the look of very dry, tired-looking skin with Sea Buckthron Berry Oil, known for its replenishing effects on skin. Sea Buckthorn was even known to be a secret ingredient used by Russian Cosmonauts. 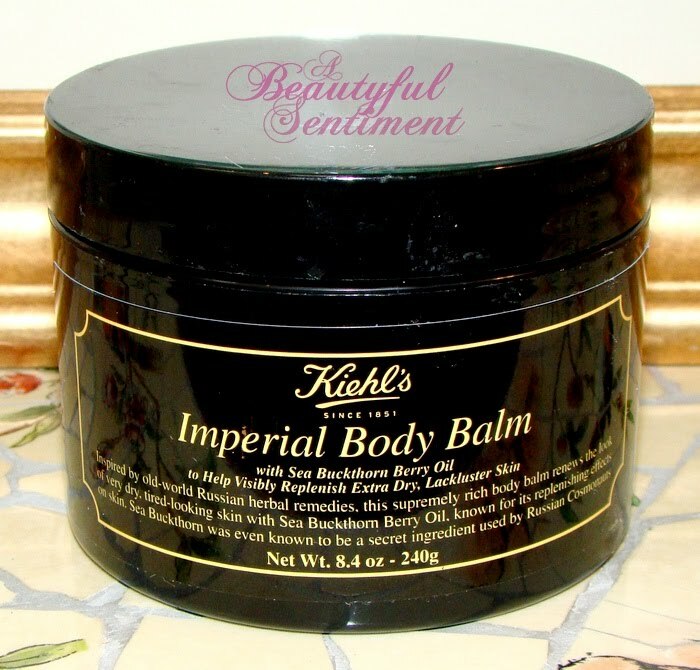 When I first saw that Kiehls was launching this Kiehl’s Imperial Body Balm, a major lemming was born. Berry and olive oil to regenerate skin, shea and cocoa butters to hydrate, and honey and fruit glycolic acids to accelerate skin turnover for improved smoothness and radiance – how could I resist? The funny thing is I received a press sample of this literally the day that I was planning to go out to buy it. Yay! 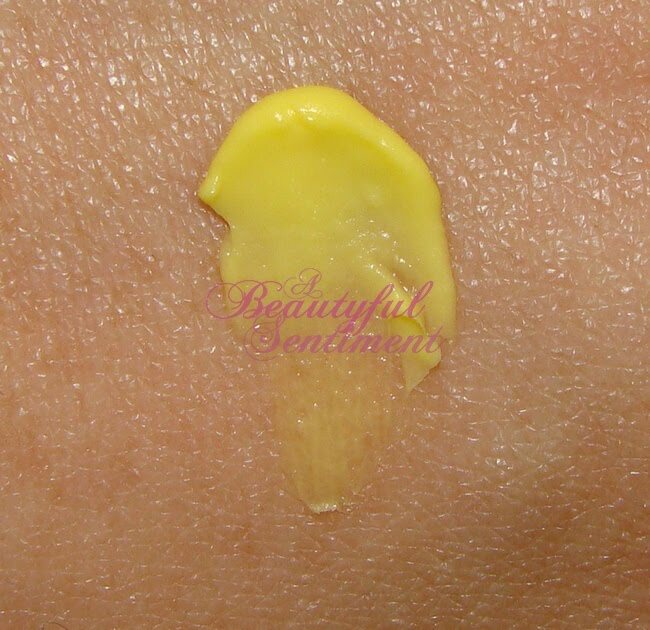 The Kiehl’s Imperial Body Balm is a thick opaque yellow cream/balm that smells of shea and cocoa butters (not particularly appealing to me, but not really offensive either). It’s rich and luxurious and a little really goes a long way – yet amazingly enough it’s not even remotely greasy and it sinks so quickly into my skin that by the time I’ve gotten around to getting dressed, I’ve forgotten all about it. The Kiehl’s Imperial Body Balm is beautifully hydrating and while pricey at $42, if you do the math it comes to $5 an ounce which isn’t terrible considering that I don’t foresee ever finishing this mammoth tub. My one gripe is that I find huge tubs like this rather annoying and cumbersome, but I guess I can’t have it all! This review contains a press sample sent to ABS by the brand’s PR representative for blog consideration. Honestly I probably would’ve purchased it myself if I hadn’t received it as I was dying to try it. I’m a sucker for a product with the words “imperial” and “balm” in the name! Sisleÿa Eye and Lip Contour Cream is formulated with a particularly high concentration of active ingredients. It notably incorporates padina pavonica algae extract which works in synergy with natural plant extracts (matricaria, licorice, wheat proteins) and vitamins (E, B5 and F) to help to: maintain very effectively the moisturization of the eye and lip areas, thus limiting the appearance of fine lines and wrinkles; smooth and tone these very fragile areas, where the skin is especially fine-textured and delicate, to address the appearance of wrinkles; and prevent the appearance of under-eye puffiness and dark circles. After a few weeks’ daily use, skin appears more supple, more radiant and better-toned, with an average reduction in wrinkles of approximately 23%. 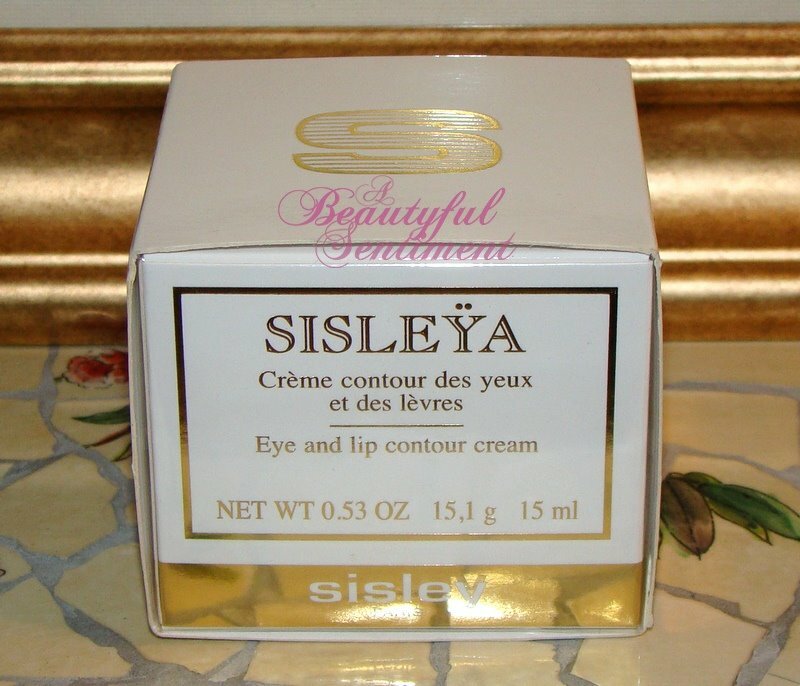 What It’s Good For: Sisley’s ‘Sisleya’ Eye & Lip Contour Cream is fabulous for those of you who suffer from excessive undereye dryness ~ I’m talking Sahara dry, parched, arid, moisture starved under eyes. 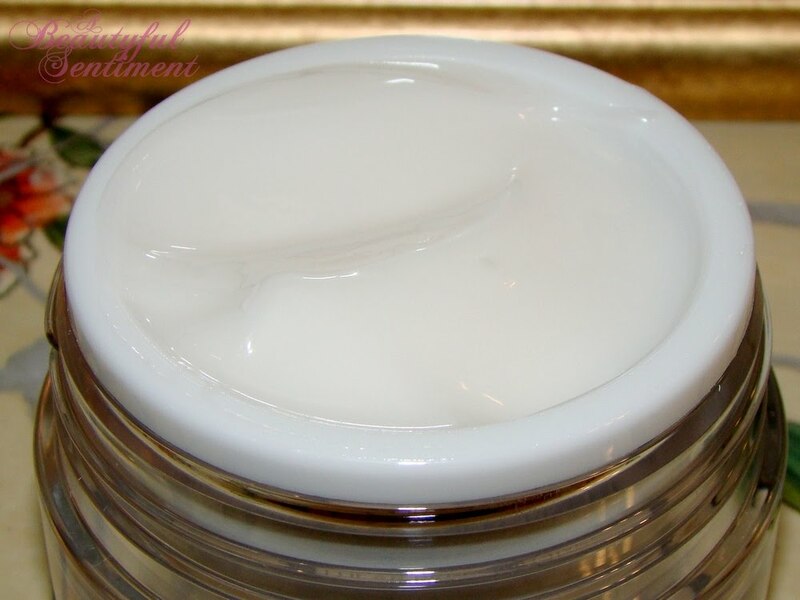 It’s one of the most moisturizing, emollient eye creams I’ve tried to date and my mother swears by it during the cold winter months when her skin is at its dryest. Its amazing hydrating ability helps to plump up any tiny fine lines you may have, but I didn’t see it working any miracles on the one stubborn mini line I seem to have developed. The Formula: Sadly this formula was a no-go for me. 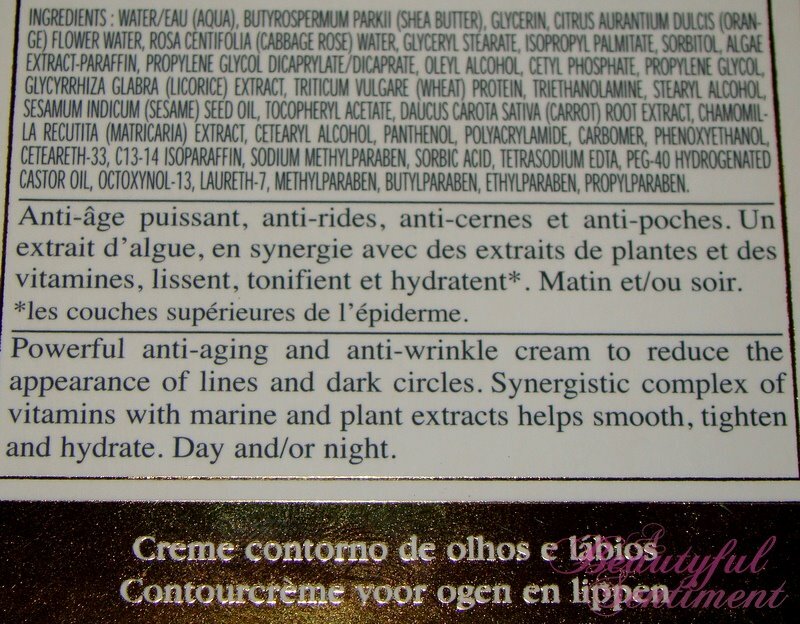 The fact that i’ts super emollient means that it has a tendency to slide around your face and to migrate, and I inevitably end up with this Eye & Lip Contour Cream in my eyes by the end of the day. Now that wouldn’t be so terrible if it wasn’t for the fact that this eye cream sting like the dickens once it’s in your eyes ~ blinding, searing, tear-inducing pain. I always end up tearing like crazy, which results in puffiness, which kind of seems to defeat the purpose of wearing eye cream. The excessive richness also caused me to develop some millia which I wasn’t too happy about. The Age Range: Because of its relative heaviness I deifnitely wouldn’t recommend this for those of you in you’re 20’s – early 30’s unless you suffer from excessively dry undereyes. I’d say this is best for those 40+, but of course it depends upon your individual skin type. The Verdict: My mother swears by this eye cream come winter and the woman has beautiful, glowing, wrinkle-free skin, so who am I to argue with results? I’m thinking this may be great for when I’m older, but as of now it irritates my eyes, is too rich, and to top it all off it costs a small fortune for a mere half an ounce. That doesn’t mean I won’t be “borrowing” a bit of my mom’s Sisley cream every now and again, but I’ll be waiting a good number of years before indulging in my own tub. HD complexion collection uses innovative formulas to create a new generation of makeup that is invisible on high-definition cameras and to the naked eye. This unique, lightweight elixir absorbs quickly into the skin, instantly hydrating and brightening the complexion. The breakthrough formula contains D-Panthenol and Glycerin to ensure an immediate boost of hydration (+520% after 15 minutes) that lasts throughout the day (+175% after 6 hours). Argatensyl is added to provide an immediate smoothing effect. Each ingredient was specifically added to prepare skin for high- definition makeup so you can count on the camera picking up the perks of this perfecting formula. The purported extreme hydrating benefits of Make Up For Ever’s new HD Elixir remind me quite of a bit of my much loved Peter Thomas Roth 75% Hyaluronic Acid Complex (review HERE), but at a much better price point, which of course means I’m seriously tempted to check this out. Unfortunately at this point it’s online only, and you all know that I need to try before I buy! REN’s Hydra-Calm Global Protection Day Cream is a soothing, smoothing, super-emollient day cream packed with essential fatty acids that strengthen your precious skin while replenishing its moisture levels. Formulated with powerful anti-inflammatories, it soothes, calms, and protects reactive skin like mine upon application. It also contains REN’s global protection complex to guard skin from oxidation and free radical damage. Omega 3 and 7 help repair and strenghten skin while reducing irritation and inflammation. Bisabolol and Calendula soothe and calm sensitive skin, while REN’s Global Protection Complex with its synergistic blend of powerful anti-oxidants and free radical scavengers helps purify the skin and protect it against chronic inflammation and premature ageing. REN products just make my skin sing with happiness-rarely do I love pretty much each and every product that I try from a single line, but REN is truly wonderful, and the Hydra-Calm Global Day Cream is no exception. It’s great for sensitive, environmentally reactive skin (i.e. those of you who live in the city and have to deal with massive amounts of pollution) or delicate and fair complexions prone to sensitivity or redness (me!). I love having a cream that comes in pump form so that I don’t have to deal with the messiness of sticing my fingers in a jar (am I the only one who has issues with getting products under her nails?). 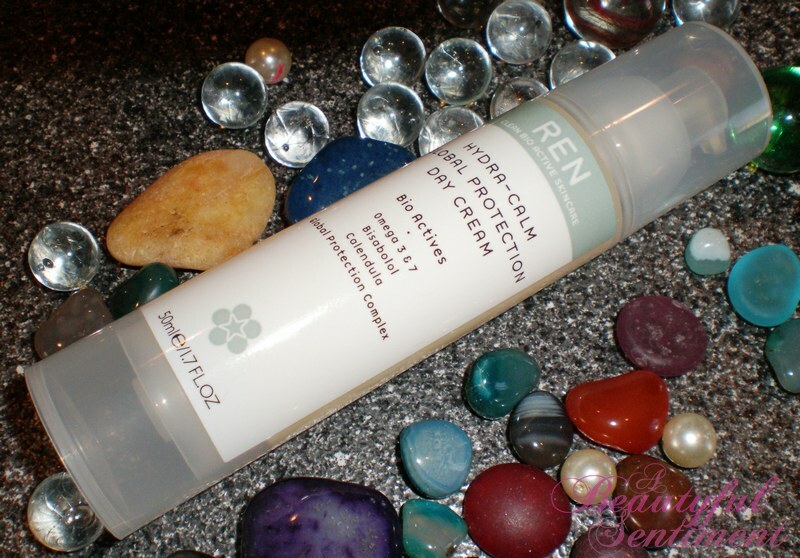 REN’s Hydra-Calm strikes that happy medium between a hydrating moisturizer and a just-thick-enough cream, and also makes an ideal mixing medium for REN’s serumes which are oil-based (and amazing). The cream is great for winter when my skin needs that extra bit of moisture for both day and night, smells great, and doesn’t break me out, clog my pores, or cause irritation. Plus I think that this in conjunction with REN’s Rose Synergy Serum has helped to significantly calm my redness. I’m going to switch to something lighter during the summer, but next winter I’ll definitely be repurchasing! My current favorite winter product is REN’s Rose Synergy O12 Restoring Facial Serum–see my review HERE. My other favorite oil serum is REN’s Omega 3 Overnight Lipid Renewal Serum–review HERE. My first two REN products were their Glycolactic Skin Renewal Peel Mask and their Multi-Mineral Detoxifying Facial Mask, both of which I happen to adore. Both amazing for keeping you pores clean and clear! 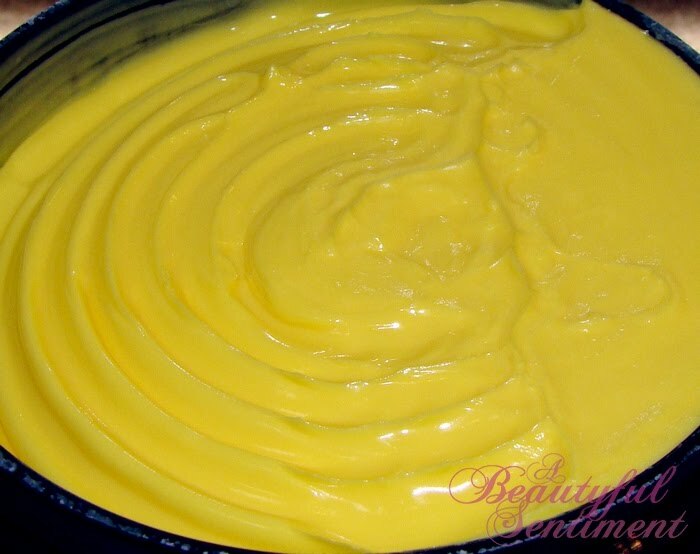 Tutorial for a Soothing DIY Greek Yogurt Mask: You’ll Love It! A few months back I came home to the sight of my mother sitting at the kitchen table with a large tube of Fage Greek Yogurt sitting in front her–nothing new since we both happen to love the stuff (mixed with honey, turned into tzatziki–it’s delicious! ), but what was different was that she was wearing it on her face! Turns out that greek yogurt is actually wonderful for your complexion, as I was reminded while reading the description for Korres’ Yogurt Cream. 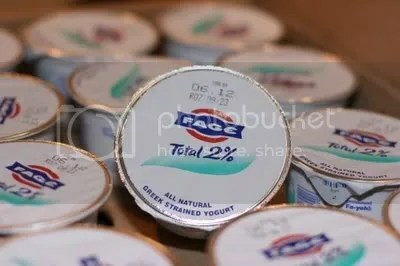 Korres also makes a Yogurt Mask which is $27 for 1.35 ounces, but I prefer to make my own yogurt mask at home, since even the rather pricey Fage usually runs $5-7 for 500 grams which is the equivalent of approximately 17.64 ounces. How do you use a yogurt mask? Well pretty much however you want. 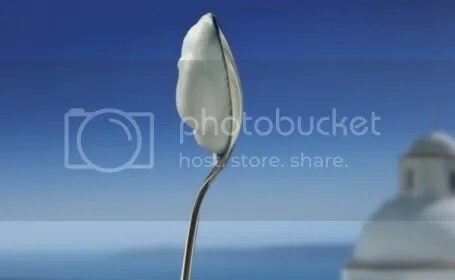 My mother, who suffers from dryness, loves to just slather on the full fat Fage, leave it on for 10-15 minutes and rinse off. Your skin will look and feel smoother, whiter, brighter, softer, and calmer. The yogurt (especially straight out of the fridge) also helps to soothe stressed or sunburned skin and is great for reducing redness. 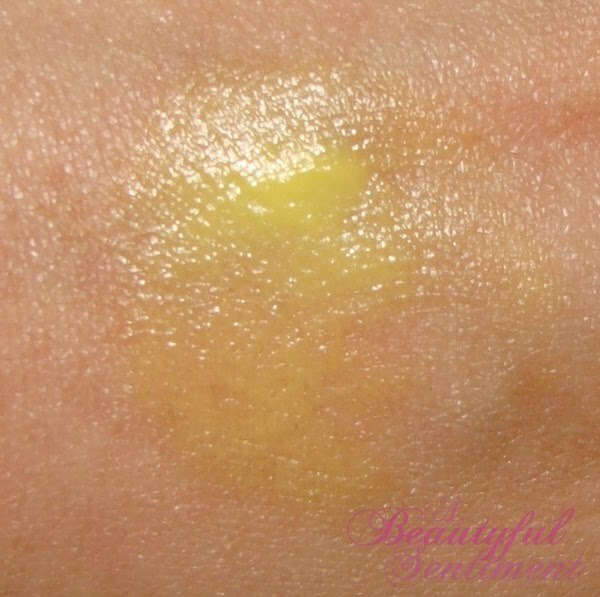 For oilier complexions, you can mix in some aspirin you’ve turned into a paste (see how HERE) and/or a drop or two of lemon juice for tightened pores and skin that glows. 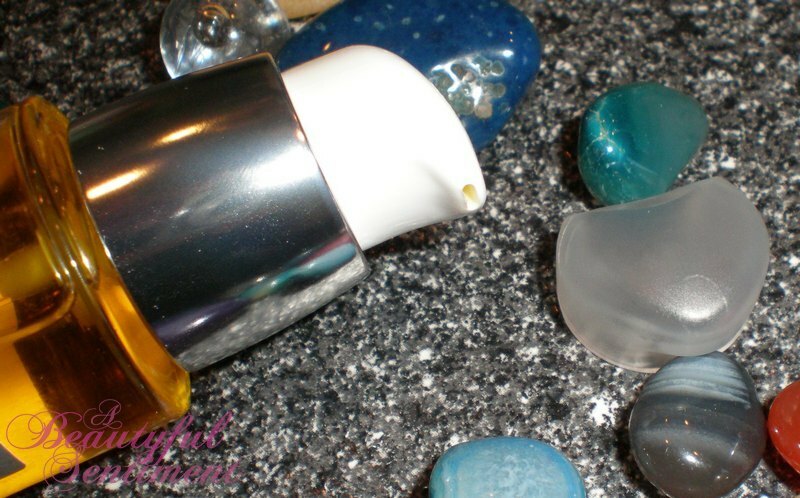 For dryer complexions, mix in some soothing honey or just apply plain. You can also add pure green tea powder for a ilttle something different, and also mix in some flour if you prefer a thicker mask, although greek yogurt is thick enough that you shouldn’t have runniness issues. I think I’ll treat myself to a yogurt mask tonight if this hellish day that I’m having at work ever ends. Been looking for that perfect serum to soothe your over-stressed, under-nourished winter complexion? REN’s Rose Synergy O12 Restoring Facial Serum is it! I know I raved on and on about Peter Thomas Roth’s viz-1000 75% Hyaluronic Acid Complex Intensive Hydrating Serum, and while I love its lightness and quick-drying finish for the summer, during the cold harsh months of winter I definitely prefer something a bit more substantial. What I LOVE: Just about everything. There are few times when I’ve been able to say that a product has brought about a significant, marked improvement in the state of my skin, but this is definitely one of those instances. Prior to switching pretty much all my skincare over to REN I was suffering from some pretty severe breakouts, my skin was feeling parched (but of course super-oily in the t-zone just to annoy me), and it just wasn’t looking so great–lots of ruddiness in the cheeks, no youthful glow, etc. While I’ve been loving all my new REN products, I’d have to say that I think the Rose Serum has been key to the changes I’ve been seeing in my complexion. I was worried that since this is a pretty heavy duty oil serum I’d experience breakouts and blogged pores, but I’ve seriously stopped breaking out at all (a miraculous feat in and of itself) and my pores are happy as can be. I’ve been receiving so many compliments on my skin since I switched over to REN, making me one happy blogger. My skin is more radiant and has a dewy look to it, and this product has really helped to alleviate some of the redness in my cheeks. People have been asking me if I’ve been getting treatments from a dermatologist and how I get my skin to look so glowy! More Info: REN’s Rose Synergy Serum is formulated to lock in moisture, prevent skin dehydration, restore and maintain your skin’s glowing softness, elasticity and comfort, and protect against oxidative damage and premature aging–whew that’s a mouthful! This luxurious serum employs REN’s Biomimetic Skin Complex, a unique delivery system rich in lipids that strengthens your skin’s moisture barrier, boosting hydrating while calming irritation and inflammation. Check out some of these fabulous ingredients! In addition, the serum has a bio active complex of ceramides, phospholipids and omega 6 & 7 essential fatty acids boosts skin repair and softness. How I Use It: REN’s Rose Synergy Serum is thicker and richer than their Omega 3 Overnight Lipid Renewal Serum (see my review HERE), but while it’s ultra-hydrating and soothing, it still absorbs quickly, never leaving your skin looking or feeling greasy. During the daytime I like to mix this into my moisturizer (one part moisturizer to one part serum), and in the evening I tend to apply this under my moisturizer/night cream. And on those days when my skin seems to be in need of a little extra TLC, I’ll take an extra 1/4 squirt or so of the serum and apply it over my moisturizer as well, just to the apples of my cheeks. While I wouldn’t recommend this serum for those of you who are super oily, if your skin suffers from dryness or irritation, this may be a dream come true for you–it most definitely has been for me! I know it’s pretty pricey at $80, but a little really goes a long way with this product (I never need more than one pump) and even though I’ve been using this for a decent amount of time now, I’ve hardly made a dent in it. REN is available at Space NK, Sephora, Blue Mercury, Barneys, Fred Segal, and @ www.renskincare.com. They currently have a great promotion going on that I’ll be posting about in a few minutes, so pop by the site and check out two of my fave REN products, their Glycolactic Skin Renewal Peel and their Multi Mineral Detoxifying Facial Mask.